OK, so nothing is posted on Michael Schenker's official website yet, but over at Pollstar.com there are a mass of North American live dates set up to run from October 4th 2012, in San Jose, CA all the the way through to November 10th, 2012 finishing back in California in Corona. 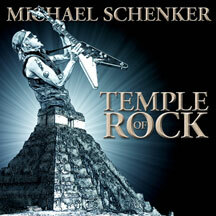 http://chambersofrock.blogspot.com/2012/03/michael-schenker-live-review-at-harpos.html - and I was always a fan of Gary's work. I for one would relish a new McAuley Schenker album, as I think would many MSG fans. Come on Michael, you know the crowd loved you! Bring it back to Rock City! 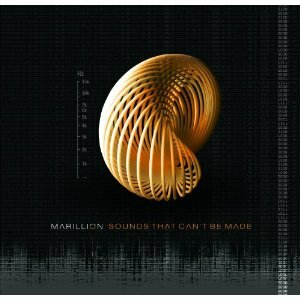 New York, NY (September 4, 2012)—On October 2, 2012, Eagle Rock Entertainment/earMusic (Edel) will release Sounds That Can’t Be Made, the first new Marillion album since 2009’s Less Is More. Sounds That Can’t Be Made, recorded at Racket studio in England, is the 17th album in 30 years for the band that started its recording career in 1983 with Script For A Jester’s Tear. The multi-layered sound recalls such Marillion masterworks as Marbles and Afraid Of Sunlight. Lead singer Steve Hogarth, guitarist Steve Rothery, keyboardist Mark Kelly, bassist Pete Trewavas and drummer Ian Mosley prove they haven’t lost their touch when it comes to epic progressive songwriting, as highlighted in stand-out tracks “Gaza” and “Montreal.” Additional tracks ”Power” (the first video) and “Lucky Man” are imbued with the intelligent, ethereal quality that still strike a deep chord with songcraft aficionados, yet resonate with soaring, inescapable melodies. Marillion has once again produced an eclectic and adventurous listening experience. With 20 UK Top 40 hits, this is a band that constantly reinvents itself, thus holding on to a fanatical international fan base. Looked upon as leaders of the neo-progressive movement of the early ‘80s, hailed by England’s Classic Rock magazine as “a national treasure,” Marillion has consistently dodged categorization. Genesis and Radiohead may come up in their “audio cocktail” but ask each musician about the world of sound they’ve created and you’re likely to get five different answers. THAT is what sets Marillion apart. 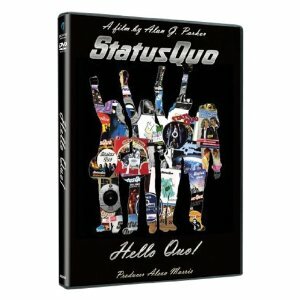 Many fans of a British rock tradition called Status Quo, are readying themselves for the new movie / documentary, 'Hello Quo,' due to be screened for one night only, in movie theatres across the UK on October 22nd. This will also tie in with the Premiere of the movie being screened in London's Leicester Square. It's been 25 years since the four original members of Status Quo reunited and as an old fan of the band, I think it's long overdue that they did something, anything, together. The band's latest 'movie event' casptures many moments of the band's 50 years of existence, telling the story of 'everything' - yeah right! - with the help also of Brian May (Queen), as well as members of Thin Lizzy, Buzzcocks, Slade, Paul Weller and Midge Ure.. Directed by Alan G. Parker (Monty Python: Almost The Truth; Who Killed Nancy) it should be interesting, to say the least! After it's 'one night only' affair, 'Hello Quo' will then be available in DVD, Blu-ray and Collectors’ Edition DVD formats from 29th October, in the UK. You can pre-order it at Amazon.co.uk for it's release on 29th October 2012. The Swedish quintet ColdSpell have become a "fan favourite" over the past few years largely due to their social media presence. This fanbase has extended to the United States, even though the band doesn't properly have an album out there and the band has decided to thank the country for their support by embarking upon a 10 day run along the United States' West Coast during the first part of September. 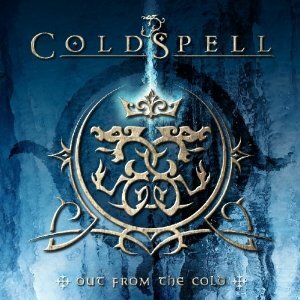 "Since we began ColdSpell we've made some amazing friends and fans over there (in The States) that give me/us the feedback and inspiration we need to keep this locomotive runnin'' says ColdSpell guitarist, Michael "Micke" Larsson. "We are so excited to finally get over the pond and meet some of you ColdSpell fans and hopefully add a few more to the ColdSpell US family. Excited is actually a small word when it comes to what we feel about this US tour but we can assure you that this aint the last time , this is just the beginning!" The band's latest album, Out From The Cold is out now on Escape Music.